NEW 1:48th Room Box Kit! Petite Properties are delighted to announce the launch of their first quarter scale room box kit. 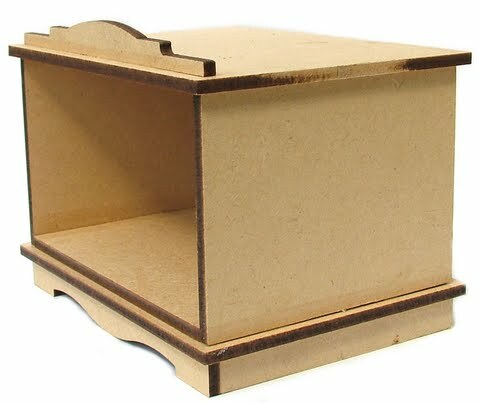 This highly versatile 'precision cut' MDF room display is easy to put together and can be finished according to your own decorative requirements. Priced at a ‘recession busting' £9.99 (Plus P&P) it is not to be missed; they also make the perfect gift too! The new room box kits are available by mail order, via the Petite Properties' new online shop (which can be found on our website) www.petite-properties.com or they can be purchased from the Petite Properties' exhibition stand at any of the dolls house shows we attend throughout the year. 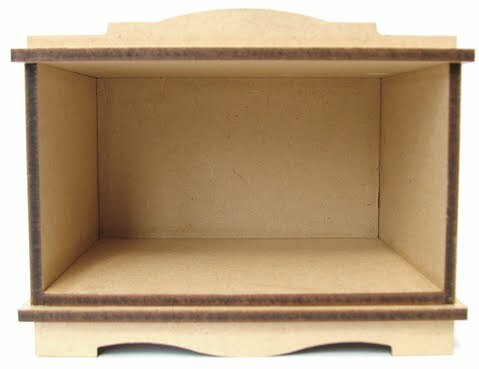 So why not let your imagination run wild and create your own unique 1:48th scale room setting today! I am sorely tempted but so need to finish off my other projects first! best get my skates on! It is definitely going on my wish list! !